This is an explanation of Kitāb at-Tawheed of Shaikhul-Islaam Muhammad b. Abdul-Wahhaab (d. 1206H, rahimahullāh) by ash-Shaikh al-Allāmah Ahmad b. Yahyā an-Najmee (rahimahullaah). 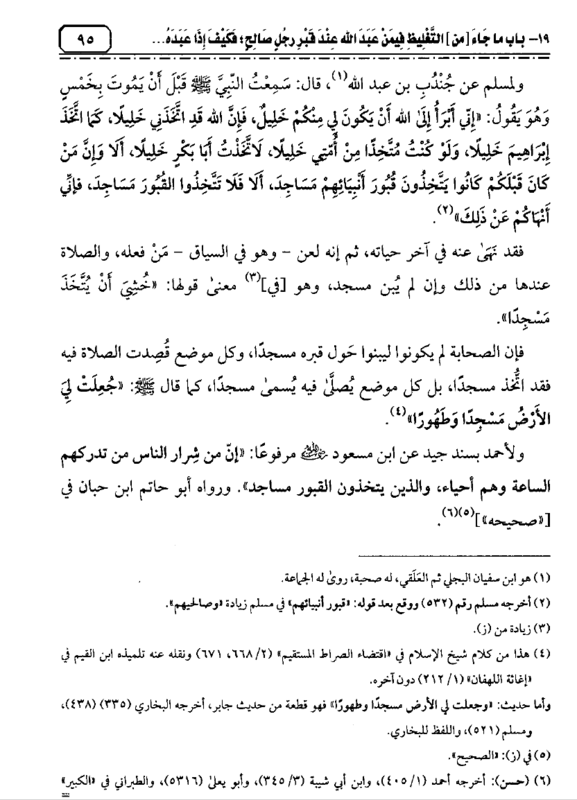 Chapter 20: What has been said concerning the condemnation of the one who worships Allah at the grave of a righteous man, so how much worse is it that a person should worship the dead? It is reported in the Saheeh from ‛Ā’ishah (J): that Umm Salamah mentioned to the Prophet (ﷺ) regarding a church she had seen in the land of Abyssinia (Ethiopia) which had within it pictures [of people]. So the Prophet (ﷺ) said: “When there used to die a righteous man or servant from amongst them, they would build over his grave a place of worship – and they would make in it these pictures. They are the worst of creatures in the sight of Allāh.” [Bukhāree 427, Muslim 528]. These people gathered together two tribulations: tribulation of building over the graves, and the tribulation of making pictures [of people]. The prohibition of taking graves as mosques (or places of worship). This is regardless of whether the grave was introduced into the Mosque after building it, or whether the Mosque is built amongst or over the graves. All of this is disallowed. It is not permitted to pray in a Masjid that is surrounded by graves, and this prohibition becomes even more severe if the graves are in the direction of the Qiblah [such that a person is facing them in prayer]. So if a Mosque is built upon a grave, or over some graves in veneration of them, it becomes obligatory [for the ruling authorities] to demolish it and disallow prayer in them. If there is an established mosque and then graves are placed within it, then it is better to remove the corpses and bones from the graves, and then place them in the graveyards of the Muslims – thereafter the mosque becomes a suitable and permissible place to pray. Otherwise it is not permissible to pray in such a mosque. Likewise is the case for a mosque that is surrounded by graves on every side. 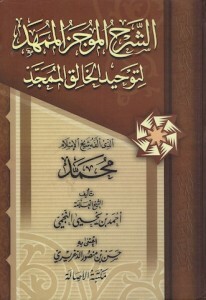 What is also understood from these narrations is that even if ones directs worship only to Allah; but he performs that worship next to a grave seeking blessings by way of it due to a notion wherein he believes that his worship next to the grave will be accepted by Allah – and that it is seen as virtuous by Allah, then this act of worship is considered futile and is rejected; it is not permissible for him to perform these acts of worship at gravesites. 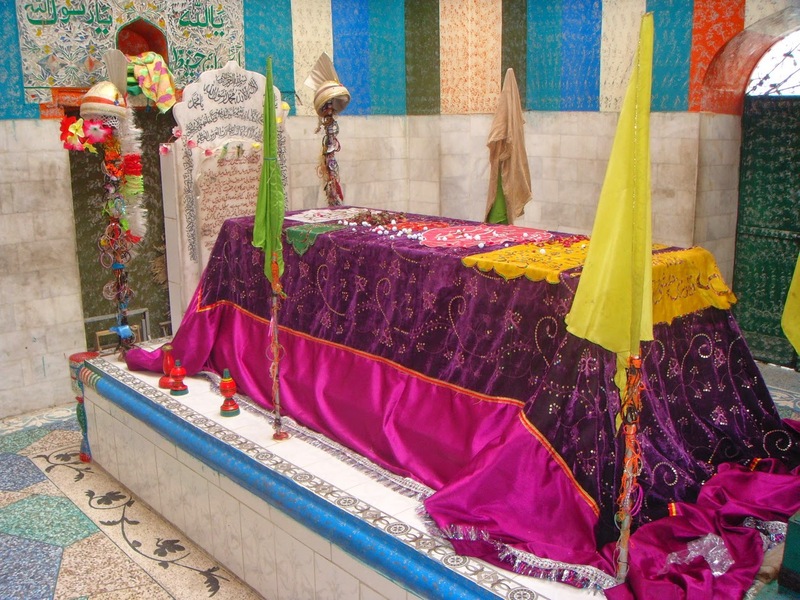 Grave of a Naqshbandi ‘saint’. 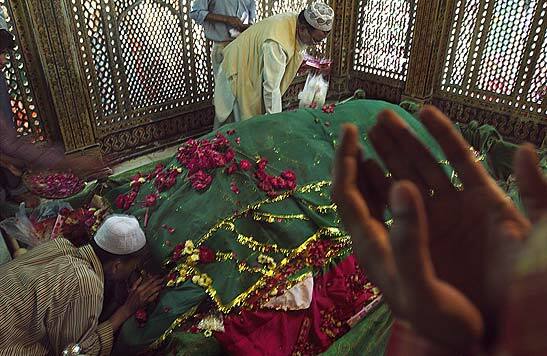 Sufism is frowned upon because it is an innovation in the religion with practices that contradict the core beliefs of Islam. The Prophet (ﷺ) invoked curses upon those who turn graves into places of worship (arabic: mosques), and he mentioned specifically the Jews and Christians because they would take the graves of their Prophets as places of worship, i.e. making them into mosques. 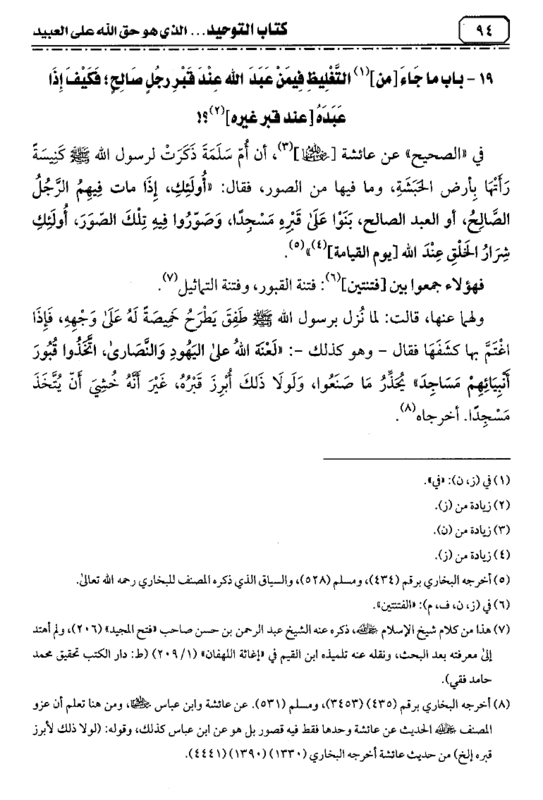 Whoever supplicates to a righteous person regardless of whether he is well-known, such as the Prophet of Allah, ‛Eesā (Jesus ﷺ) or Uzair (Ezra) or others from the righteous – so whoever calls upon them and supplicates to them, or worships them instead of Allah (or alongside Allah) then he is considered a polytheist and an unbeliever. Likewise whoever [from the Muslims] prays salāh at the graveside believing that his prayer is more virtuous next to that grave, then this is from the most dangerous of pathways that lead to polytheism. And look how much the Prophet Muhammad (ﷺ) would emphasise the forbiddance of taking taking graves as places of worship such that he would invoke the curse of Allah upon those that did that. 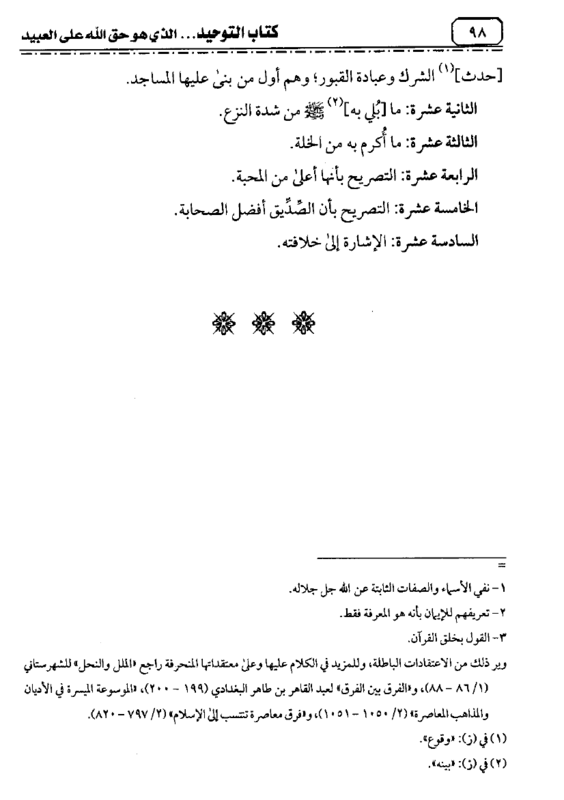 From these narrations one can see the prohibition of picture-making – and this prohibition is even greater if the intent behind the images is worship of others alongside Allah such as the worship of the five righteous men from the time of Nooh (Noah ﷺ) who were later taken as objects of worship, and were worshipped by the polytheists of Makkah. Their names were: Wadd, Suwā’, Yaghooth, Ya’ooq and Nasr. The grave of the Prophet (ﷺ) was initially outside of his Mosque in Madeenah – the fact is that his house was next door to the Mosque and that is where he was buried after his death. Later, in the time of the rule of Waleed Ibn Abdul-Malik he commanded that Mosque be expanded, and thus the house of the Prophet (ﷺ) was included into the Mosque as it was extended. 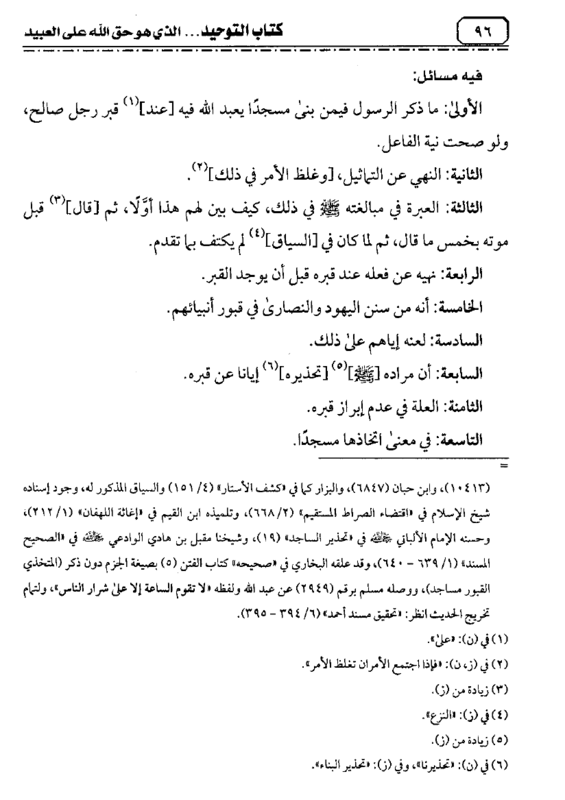 This occurred at the displeasure of the Scholars – and they hated it; from them, Sa’eed Ibn Al-Musayyib (died 94H). 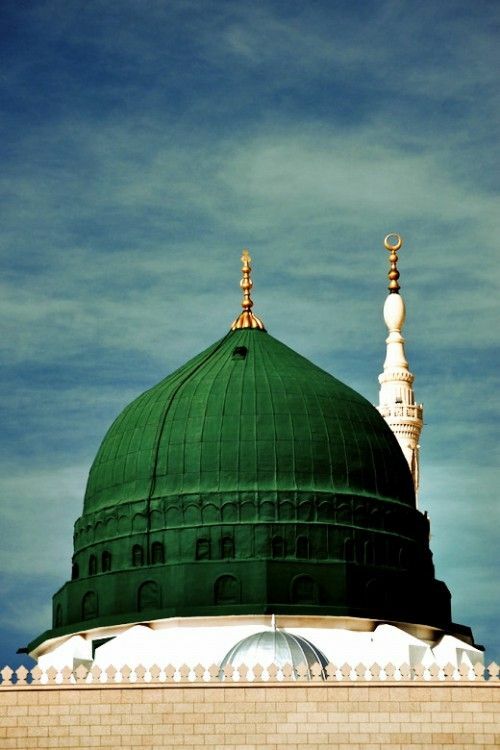 As for the green dome that was erected high over the grave of the Prophet (ﷺ), then it was built at the end of the 6th century – it was built by one of the kings of Egypt. So whoever uses the grave of the Prophet (ﷺ) in the Mosque as a proof, or the presence of the green dome then in reality he has no proof at all. That is because these constructions and affairs were initiated by people ignorant devoid of knowledge. They had authority and the people were not able to prevent them. So they did what they did due to their claim that were expressing their love of the Prophet (ﷺ) and respect for him. This green dome at the Prophet’s Mosque in Madeenah, over his grave, was a later addition of the sixth century. 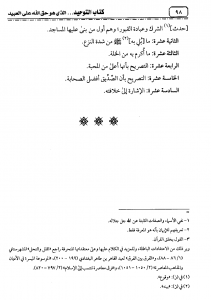 It was not built or approved by the Companions or by the early scholars and well-known Imāms. The final hadeeth of the chapter proves that those who take graves as places of worship are from the worst of the people in the sight of Allah (D). 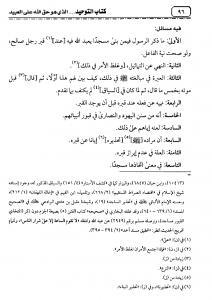 The Prophet (ﷺ) reiterated the prohibition of taking graves as mosques (places of worship) and he emphasised this at the end of his life, when he was close to dying, so that no ambiguity, doubt or speculation can come thereafter to suggest that it was abrogated or that he allowed it later. Allah honored the Prophet (ﷺ) by taking him as a khaleel (close friend) just as He took Ibrāheem (S) as a khaleel, a close friend. And to be taken as a khaleel carries a higher station of nearness than love (muhabbah). Watch: Worship taking place at a grave of a “peer” in Birmingham, UK in 2016.